We started as a small neighborhood group of Minnesotans who are making a difference in the relief efforts that took place in Sri Lanka. Our direct connection with people living within the affected areas of Sri Lanka make this fund truly unique! 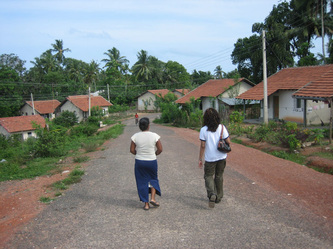 Minnesota Village Project DTR, which started in Weligama, received tremendous support from the Sri Lankan government and from donors around the world. This Village has now been built. The village currently has 75 houses, a skill training center, and a preschool. Sponsors for the Medical center of the Minnesota Village are kindly welcome. Community Center of the Minnesota Village was funded by the Prouty Project of Minnesota. In 2006, a Prouty Project expedition team was in Minnesota Village to add finishing touches to the center. Jeff and Mary Prouty with the Prouty Project Team held a fundraiser for MN Village Skills Training Center on Nov 19, 2005. 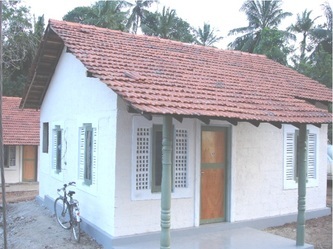 Our organization has successfully built over 75 houses for homeless in Sri Lanka where thousands of families are still living without proper housing since 2004 Tsunami. We build self sustaining communities with reputed Sri Lankan volunteer organizations.Contact us for details. Our partner in this worthy endeavor is Twin Cities Habitat for Humanity. We are working with them to help rebuild a community in Weligama, a Southern town in Sri Lanka where more than 2000 families need to be re-housed. Below is a list of important websites. These include information on contributors, supporters as well as information on Sri Lanka itself. We encourage you to check them out to learn more about our cause. 4/5/12: The website has been updated! 3/13/11: The website has been updated! 12/09/07: Most recent pictures of the village gallery! 03/13/06: We have added over 100 photos of the new community center and village in the gallery!